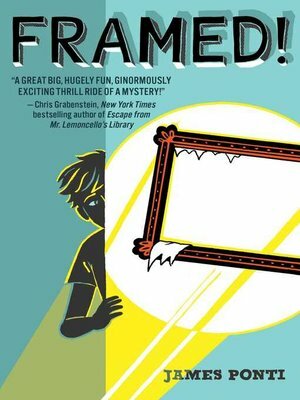 Get to know the only kid on the FBI Director's speed dial and several international criminals' most wanted lists all because of his Theory of All Small Things in this hilarious start to a brand-new middle grade mystery series. So you're only halfway through your homework and the Director of the FBI keeps texting you for help...What do you do? Save your grade? Or save the country? If you're Florian Bates, you figure out a way to do both. Florian is twelve years old and has just moved to Washington. He's learning his way around using TOAST, which stands for the Theory of All Small Things. It's a technique he invented to solve life's little mysteries such as: where to sit on the on the first day of school, or which Chinese restaurant has the best eggrolls. But when he teaches it to his new friend Margaret, they uncover a mystery that isn't little. In fact, it's HUGE, and it involves the National Gallery, the FBI, and a notorious crime syndicate known as EEL. Kirkus Reviews praised the "solid, realistic friendship bolstered by snappy dialogue," and School Library Journal said "mystery buffs and fans of Anthony Horowitz's Alex Rider series are in for a treat."